It’s a lazy, hazy new year’s day public holiday in Melbourne when most restaurants outside the tourist areas are closed, but you want to go out to lunch with a preference for African food. So who do you call? 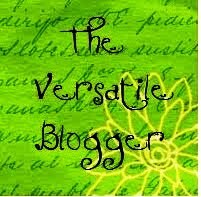 Luckily, one of my friends and former journalism colleagues, Kenny Weir, is now one of Melbourne’s top food bloggers. In Consider the Sauce (CTS), he and his son Bennie cover Melbourne’s west in all its foodie vibrancy and diversity. My husband, Gordon, and I were keen to sample some of the delights we’ve been reading about in CTS all this time. We live in Melbourne’s south-east, so it’s a long trek across town that we don’t make very often. Today, though, we cross the dreaded Westgate Bridge without a hassle, it being a public holiday and middle of the day when all those who are travelling out of town to the coast have already done so. Kenny and Bennie know just the place to satisfy my craving for African food: Safari Restaurant, serving Somalian fare, at 159 Union St, Ascot Vale. The CTS team has been here many a time, and has even given the restaurant an award. 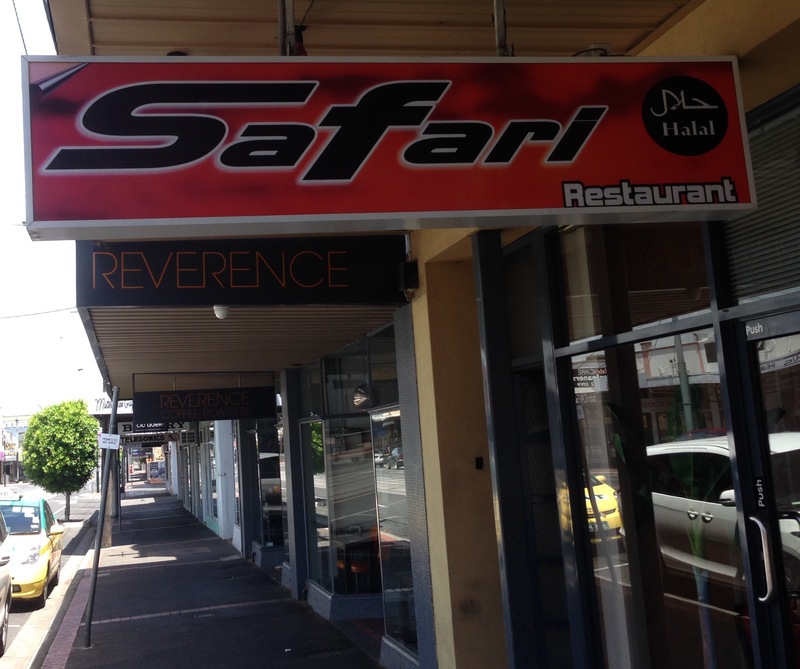 You can read reviews of Safari Restaurant on Consider the Sauce here and here. Kenny orders a platter of food to share, but before it turns up, we’re served bowls of aromatic broth. They don’t look like much: a brownish liquid with a few herbs and skerricks of vegetable and flecks of lamb. But the taste! Meaty, peppery, lemony, totally delicious. 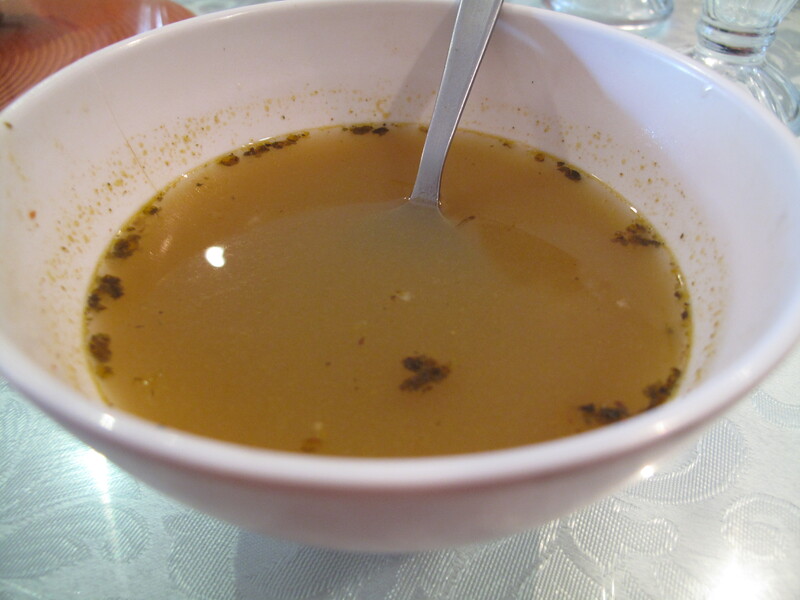 I found a recipe for a similar “lamb soup for the soul” (fuud ari) at Xawaash Somali Food Blog, here. 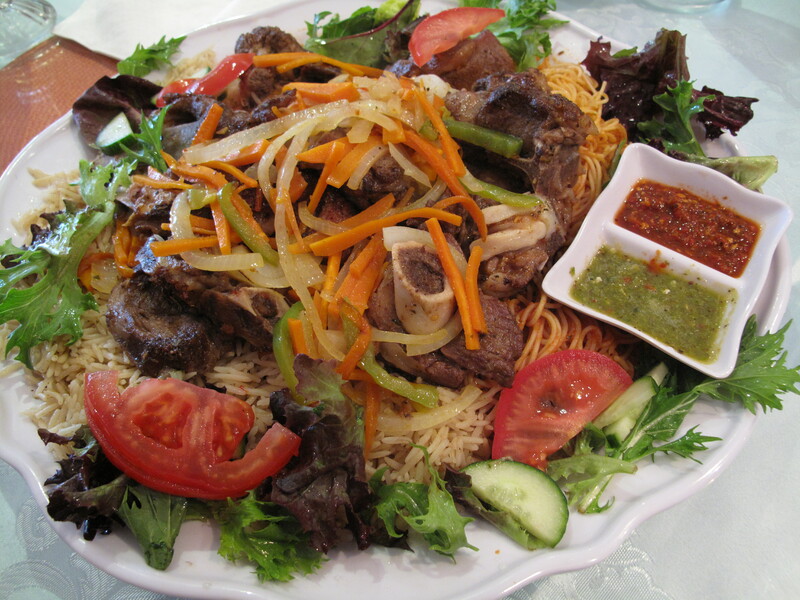 Anyway, next up is our heaped platter of rice, spaghetti, lamb, vegetables and salad. As soon as I see it, I know I will love it. This is comfort food, immediately recognisable the world over, just as are, say, spaghetti bolognaise, macaroni cheese, chilli con carne, hainanese chicken rice, Indian butter chicken or Thai massaman curry. It’s that irresistible combination of protein and carbs that we humans seem to be predisposed towards. I didn’t expect spaghetti, but should have, of course, Somalia being a former colony of Italy. So, we have succulent slow-cooked spiced lamb on the bone; julienned carrot, onion and a few other vegetables; crisp various salad leaves round the side; and beneath, al dente spaghetti that is rather bland but is an excellent foil for the rest of the flavoursome food; and superb rice that has been steamed in stock and herbs. There are two sauces on the side: a hot red chilli one and a green herb-based one, both sensational. It’s simple fare served unpretentiously, and even though it’s a huge platter, we consume it all. Somalian food is traditionally eaten with the hands from the centre platter, and most—but not all—of the other guests are eating in this way. We opt for plates and cutlery, however, and the staff are happy to bring them. We’re also given carafes of Vimto, a fruit cordial which refreshes the palate between mouthfuls of lamb, rice and spaghetti. The bill comes to a total of only $48 for the four of us (we actually ordered the platter for three, which was plenty for four). Now, $12 a person for lunch at a restaurant is a bargain in Melbourne. As a comparison, at the uni campus where I teach, I pay up to $14 for an ordinary sandwich and a coffee. The four of us have already made another foodies’ lunch plan to meet half-way between our respective suburbs in the not-too-distant future. Good food at a bargain price, the company of old friends and summer in Melbourne—what could be better?